On Friday, July 20th 2018, the lower house of the Indian Parliament (Lok Sabha) witnessed its first motion of no-Confidence in fifteen years. Although the government has a clear majority in parliament even without its coalition partners, this motion is actually more useful for the opposition as it acted as a litmus test for their unity in the upcoming 2019 general elections. But what brought the opposition to unite and move such a motion forward? The answers lie in the failures of the Modi government. 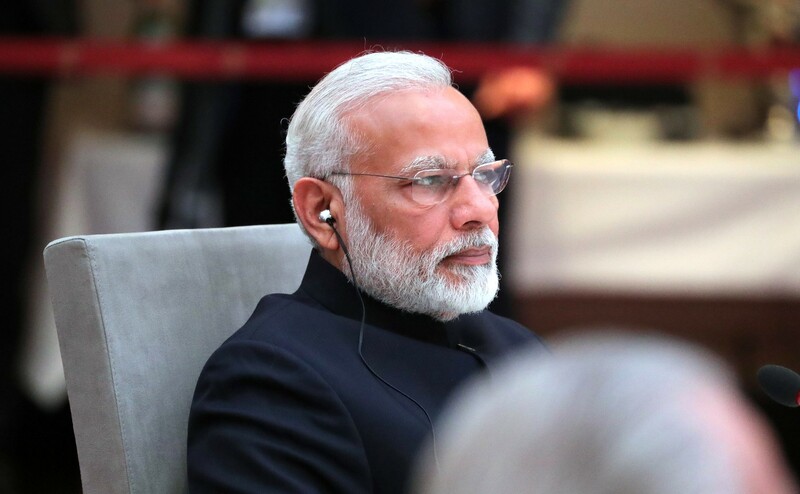 The current government is headed by Narendra Modi’s Bharatiya Janata Party (BJP), a conservative Hindu-nationalist party, which the opposition accuses of neo-Fascism. The party rose to power on a platform promoting “good days” for the Indian people by promising jobs, lower fuel prices, recovery of Indian black money, cleanliness, a “Make in India” policy, and “development for all”. Furthermore, its rhetoric to win in 2014 also focused on a “Congress-free India”. The Indian National Congress (INC, currently in opposition) is a secular & social-democratic party, which the government accuses of corrupt dynastic politics since independence. In the 2014 elections,the BJP amassed an overwhelming 273 of the 545 seats (50,1%), while its coalition (NDA) gathered an extra 41 seats to solidify the government. The Congress, which held the previous government, managed only 48 seats while its UPA opposition coalition gathered 18 more seats. The Left and unaligned parties such as the AAP, AIADMK, TDP and the AITC managed 153 seats. In effect, the Modi government had the security it needed in parliament to pass its bills. The Modi government rose to power by promising 20 million jobs , every year, for five years. This meant creating a total of 100 million jobs for India over the course of their tenure. Although the task seemed daunting and near-impossible, BJP promised it would deliver. Four years down the line, job creation is at an eight year low; according to labour bureau statistics , job creation for 2015 and 2016 (April-December) stood at 155.000 and 231.000 in numbers respectively, barely even one-fifth of a million, and a mere 1% of the yearly target. In comparison, the Congress government created 1 million jobs in 2009. A failure for the Modi government. The government promised lower fuel prices if it came to power. The price of petrol in Delhi before the Congress government left, was ₹63,09; in 2018 the same price has risen to ₹78,43 which is a 24% increase, even when global oil prices fell in some instances. The main reason for this seems to be because the government has increased taxes and duties on fuel, increasing the burden immensely on the common people of India. A failure for the Modi government. Modi promised that he would recover all black money deposited in Swiss bank accounts, claiming that “if all money is recovered, I will transfer ₹1,5million ($21.000) to every Indian”. In his attempts to do this, and turn India into a cashless society, he demonetized, or banned, the ₹500 and ₹1000 notes overnight, and forced millions in a cash-based economy to line up outside banks to exchange redundant notes for the new ₹500 and ₹2000 notes. In effect, India witnessed 100 deaths, a huge loss, equivalent to 2% of its GDP, and increasing cash circulation in the economy. This resulted in free-falling investor confidence and hindered Modi’s “Make in India” campaign. Furthermore, Modi’s “Goods & Services Tax” (a tax bill proposed to unite India’s taxation structure) was proposed by the Congress during their tenure but struck down by the BJP. The BJP then released an altered version of the bill with extreme complications (such as peanuts being taxed differently from cashews) which ended up confusing traders, even to this day. A gigantic economic failure for the Modi government. A big failure for the Modi government has been in the field of defense. During the Congress tenure, India was negotiating with France to purchase 126 Dassault Rafale fighter aircrafts. When Modi came to power, BJP only purchased 36 . Furthermore, in a claim made by Rahul Gandhi in Parliament, the price of the jet had been increased three-folds under the BJP government. Furthermore, Gandhi also claimed that after the Doklam border skirmish with China, Modi visited Beijing and refused to have this skirmish on the meeting agenda. Lastly, it was further revealed that due to underfunding of the armed forces, soldiers will now be forced to buy their own uniforms instead of them being provided by the government, which was a major blow to the reputation of the armed forces, which already suffers from the problem of antique and inefficient weaponry. 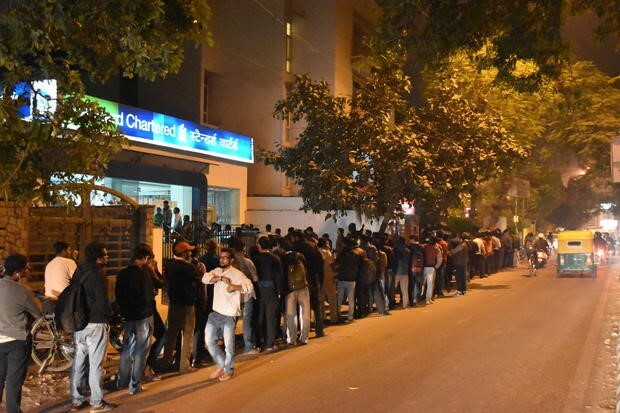 People wait for hours outside banks to exchange notes following Narendra Modi’s demonetization policy . The policy is regarded by most experts as an unnecessary failure. Farmers and laborers have suffered the most under the Modi government. Core inflation is at a high of 6,4% while retail CPI is falling at a mere 2,9%; the trade deficit has widened to a 61-month high. Furthermore, farmer suicides, due to the inability to pay debt and demonetization, have also increased. The Modi government, for example in the state of Uttar Pradesh, announced loan-waiver schemes, however, two years after the launch of this scheme only 9% of farmers in the state of Uttar Pradesh claimed to have received these loan-waivers. The scheme has failed so badly that there are plans to scrap it altogether. Furthermore, the government has not enforced the farmers’ produce price to anywhere near the Maximum Selling Price, causing many farmers to go into loss. This has been contrasted by the benevolence towards corporations from the Modi government, where the top 20 businessmen of the country have had their debt reduced by $36 billion, and the Jio institute (an institute proposed by the Ambani family which doesn’t yet exist) received the “Certificate of Eminence” (an award only won by the top universities of India such as IIT) and an endowment of approximately $15 million, which highlighted the sheer crony capitalist nature of the Modi government. During this time, India witnessed many farmer protests and marches and in one instance in the state of Maharashtra, Communist Party of India (Marxist)’s farmer wing organized a 180km march of approximately 60.000 farmers to the Maharashtra state legislature to voice their dissatisfaction, and even then only a few of their demands were met. Agriculture has been by far the most shambolic failure of the Modi government. 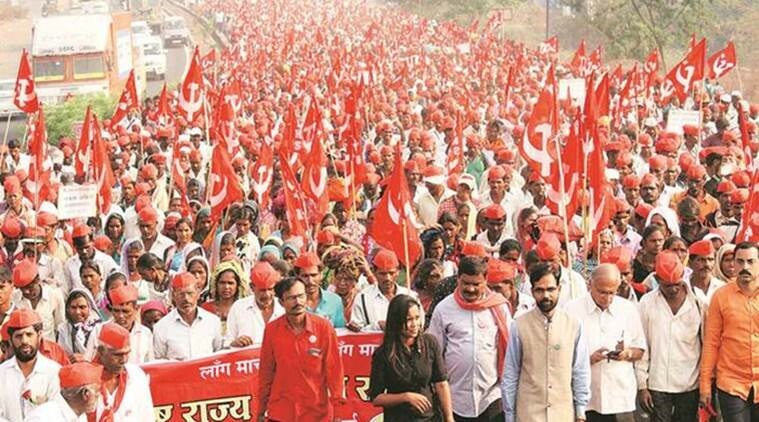 The farmers’ march of Maharashtra, led by the Communist Party of India (Marxist), drew close to 60.000 farmers to protest against the Modi government’s failed agricultural policies . Modi spent $216 million on air travel for foreign trips alone, not including the amount required for his stays and other amenities, which was higher than any previous PM. While many may point to his great foreign policy successes (such as Russian gas deals and the Samsung factory in India), one must note his huge failures. Maldives, India’s strategic partner in the Indian ocean, cancelled an Indian company’s contract for building the Male airport and awarded it to China, agreed to join the Maritime Silk Road initiative launched by China in 2013, leased out several islands to China which could be used for building bases as part of the “string of pearls” strategy to encircle India, and signed an FTA with China. Furthermore, Seychelles denied India a naval base in its country. A partial economic success, but a strategic failure by the Modi government, certainly not justifying the gross amounts of money he spent on foreign trips while the commoners suffered. Lastly, one of the most disturbing effects of the Modi government have been an increase in hate crimes against the minorities, and lynchings. Modi’s BJP is linked with RSS, which is an ideological paramilitary volunteer organization that seeks to promote the agenda of Hindu nationalism. It has has been critical of, and unsympathetic to, the Indian freedom struggle, the Indian flag and the Indian constitution advocating secularism. Its head has previously praised Adolf Hitler for his Aryan master-race policies. This organization has various affiliates and together form the “Sangh Parivar” which has spread a hysteria claiming “the Hindus are in danger”. This has lead to numerous cattle farmers and innocent people of minorities or lower castes being beaten up because they were “suspected to carry beef” (the largest exporter of which, surprisingly, is India). In one instance, a BJP MP garlanded lynchers who were guilty of killing an innocent man. Lynchings have become such a huge issue in the country that the Supreme Court recommended the government to form and pass a bill regarding it in the parliament, however, Home Minister Rajnath Singh stated “lynching is a matter that needs to be resolved by states, not the center”, causing an outburst. The RSS, BJP’s ideological wing, of which Modi was also a member. 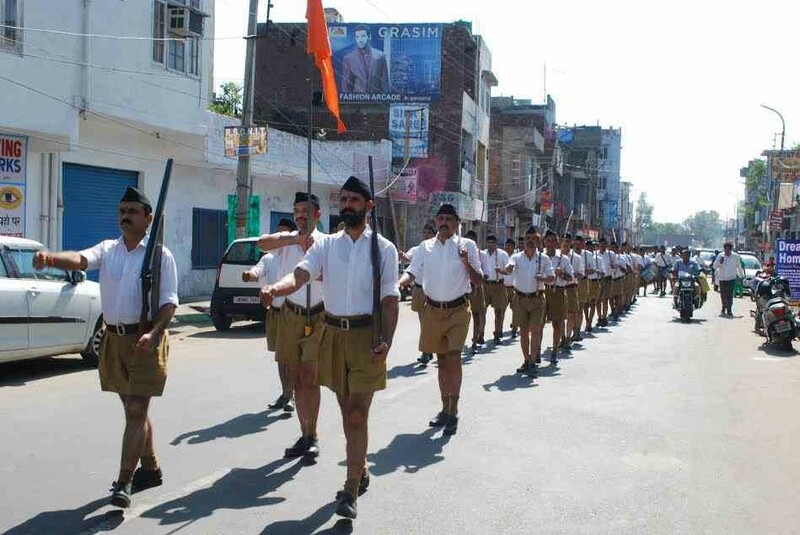 Here, RSS volunteers march on the streets with sticks in Nagpur . Hence, we can see that by failing in the fields of job creation, economy, defense, black money recovery, fuel prices, agricultural policies, foreign policy, and minority discrimination, the Modi government clearly failed to deliver. These issues affected all parties in the opposition, whether it be the center-right TDP, center-left Congress and AAP, or the far-left Socialist and Communist parties, and hence resulted in the effort to create a grand coalition with one main goal: remove Modi from power in 2019. The motion of no confidence was brought up on the very first day of Parliament, July 16th, by the TDP (a party that was part of the BJP coalition but left, because BJP failed to deliver the promise of giving the TDP’s state “special status”). Parties from all across the spectrum supported the motion and the vote was scheduled for July 20th. Although BJP had the majority, it was mainly a litmus test for the opposition unity which witnessed some failures, but enjoyed more successes. The failures included the AIADMK, an unaligned party, to side with the BJP, and some unaligned parties such as the BJD (a possible ally for the opposition) refusing to participate entirely, walking out right when the Parliamentary session began. However, the successes far outweighed the failures: BJP’s main ally Shiv Sena abstained to vote (and even praised Congress’s Rahul Gandhi for his speech) and the opposition (except BJD and AIADMK) ALL voted in favor of the motion of no-confidence, even though they could only muster 126 votes compared to BJP’s mammoth 325. The Congress, although losing on the ground, had seemingly won a moral victory by uniting those critical of the Congress in the past, to join hands and be critical of Modi instead. Furthermore, some may even claim that Rahul Gandhi effectively used this opportunity to present himself as the leader of the opposition, however that claim is up for debate as many members in the opposition still despise the Congress and official discussions for a grand opposition coalition for the 2019 elections still haven’t begun. 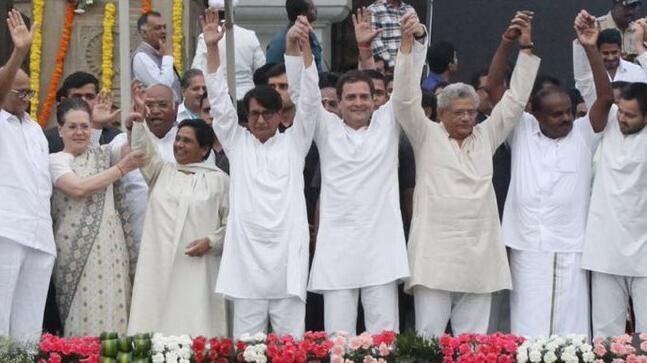 In the light of it all, the failures of the Modi government prompted opposition parties from all across the spectrum to unite and test their allegiance to their unity, and their voting record in the no-confidence motion showed success for their bond. However, one will have to see what this means for the 2019 general elections, and whether such a broad and rather fractured coalition will pose a big challenge for Modi’s strong BJP which seems to be strong without any coalition too. In my opinion, the opposition won’t outright win the general elections, but their seats in parliament will increase heavily, prompting either (optimistically) a minority government, or (realistically) a strong opposition that would challenge the BJP’s reduced seats in the parliament (for which they might fail in getting a strong coalition due to heavy desertion). All in all, the motion of no-confidence has set the tone for the 2019 Indian general elections, which promises to be one hell of a roller-coaster ride.